The Dim Sum Diaries | Sushi O | "One cannot think well, love well, sleep well, if one has not dined well." 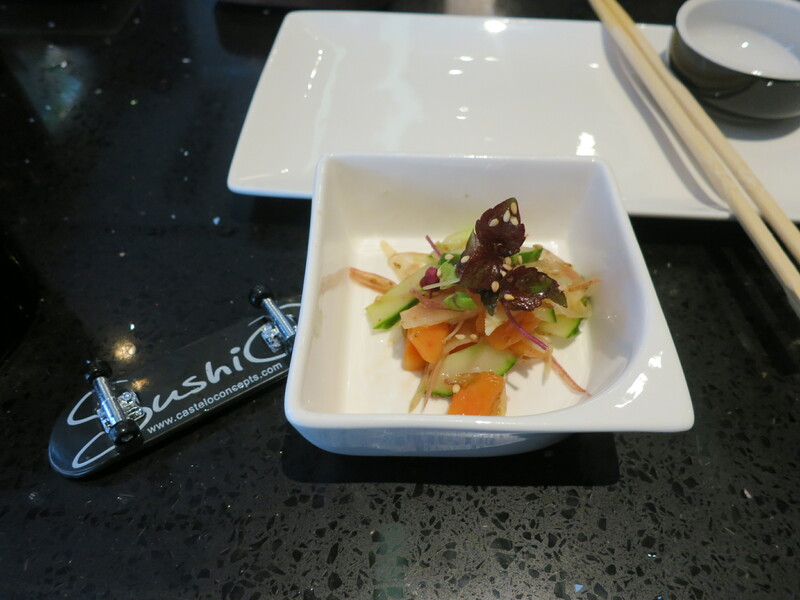 Having been slightly put off by the dinner prices at Sushi O, I was somewhat reluctant to put it to the test. I was recently introduced to its insanely good value lunch set, however, and have now decided that I might just become a regular. 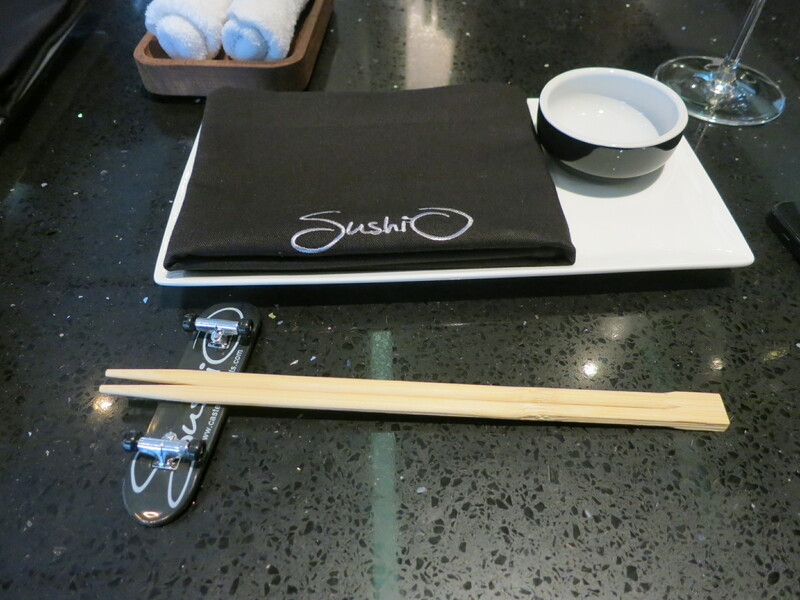 Sushi O, brought to us by Castelo Concepts and conveniently located right next door to Oolaa, is a modern sushi joint, with most of the seating concentrated around the large marble-topped sushi bar. It is neither a large space nor a fancy one; its three main draws being the aforementioned sushi bar, the train station-esque menu above it and the glass façade that allows for an alfresco experience. Although the a la carte menu did look tempting, $98 for a fairly hearty 5-course lunch set was even more tempting, particularly when we were told that a glass of house wine would only cost an additional $30 – it would be rude not to, even if it was only a Wednesday lunchtime! The set begins with a cup of white miso soup, followed by a sweet potato salad, of which the flavours of both dishes are fresh and delicate, paving the way for the more substantial dishes to follow. 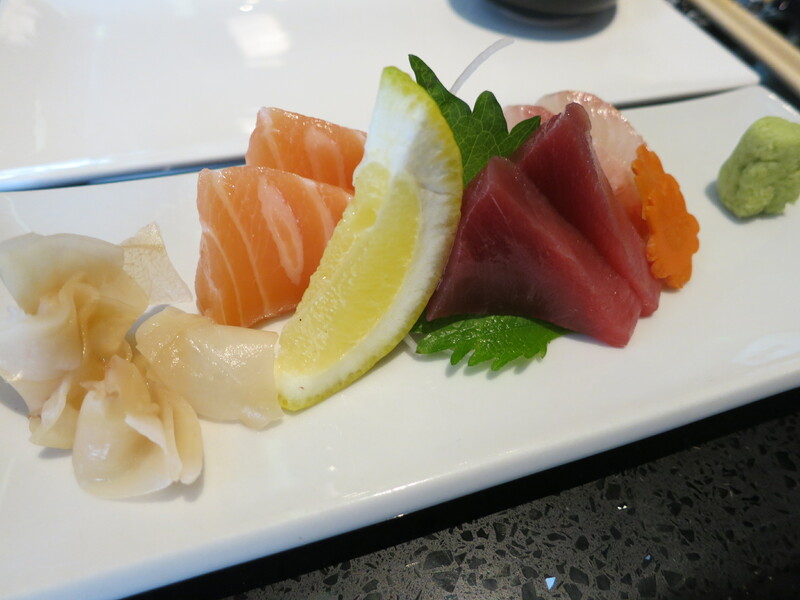 A small yet satisfying platter of sashimi came next, including kingfish, tuna and salmon. Each bite was incredibly fresh and of the highest quality, simply melting in the mouth. For the main part of the set, you can choose between cold ramen noodles, chicken karaage or a selection of sushi rolls from the a la carte menu. We opted for the latter, selecting a different kind of roll each to be able to share. Here is where the cost of the set lunch really amazes me, for you get eight large pieces of sushi per person. The spicy salmon rolls were delicious, having been marinated in chilli and sweet onions to give them a significant yet not overpowering kick. 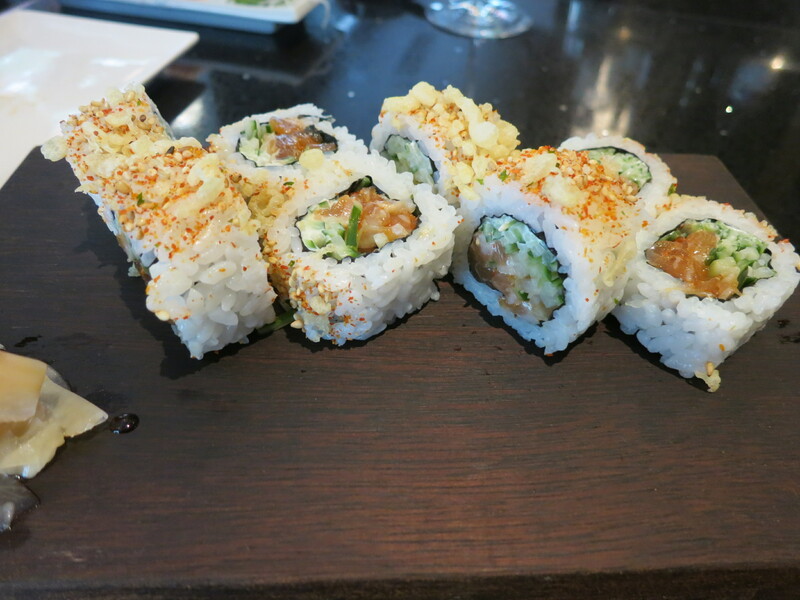 Even better, however, were the kingfish crunchy rolls. Fresh kingfish is paired with crunchy cucumber, coriander and a dash of yuzu, giving it an unusual flavour that really works. 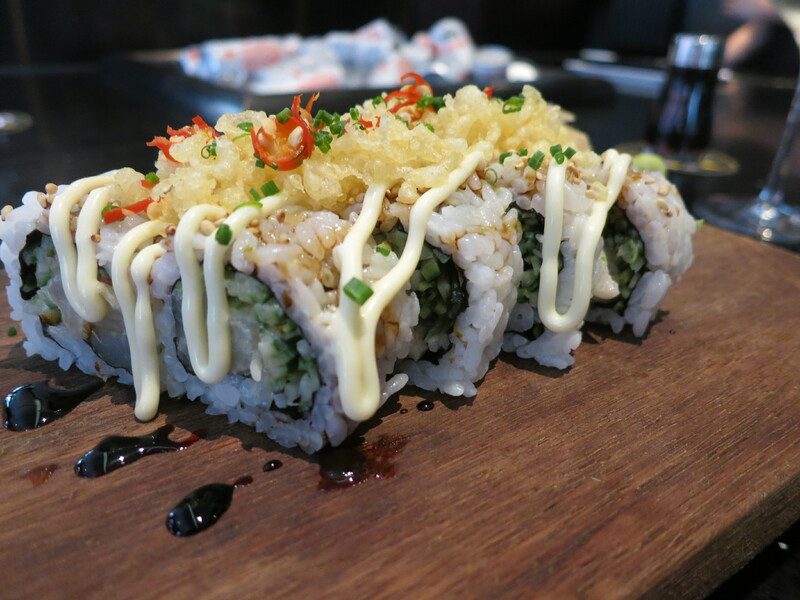 To complete these scrumptious rolls, they are topped with crunchy tempura flakes and thinly sliced chillies, making them like no other sushi rolls you could find in HK. 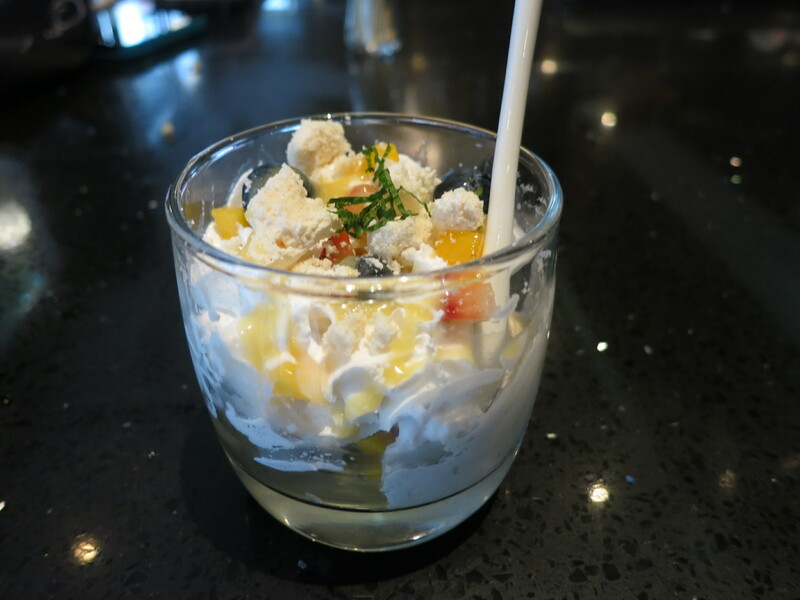 Last but not least, the set ends with a very light and refreshing mango and berry ice cream pavlova – the perfect end to a delicious meal, particularly on these sticky summer days we are now facing. On my first trip to Sushi O, when there was only one other patron in the restaurant besides the two of us, service was faultless. On my second trip, however, when the restaurant was packed, our order for the kingfish crunchy rolls was lost somewhere amidst the chaos, despite there being six people in the kitchen; perhaps it was a case of too many chefs spoiling the broth… Regardless of this, however, for somewhere in Hong Kong that offers a hearty and delicious 5-course Japanese lunch for $98, Sushi O is most definitely worth a repeat visit. $98 sounded too good to be true. It is now $129.8 with 10% service included.